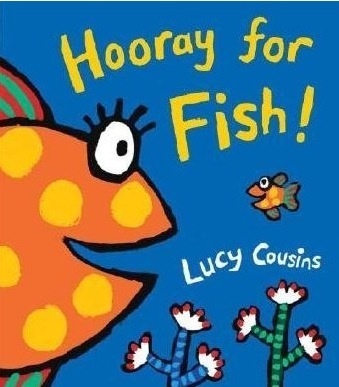 Hooray for fish is another of our favourite board books, but this probably has a little bit more longevity than most others in this category. My son who is six will still listen to this story with his sisters and he still remembers the words fondly. This is an engaging story about a little fish who swims around saying hello to all his different fish friends. There’s Ele Fish (a fish that looks like an elephant) eye fish (who looks like an eye, you get the idea) and many other silly little fishes. The rhyming is solid and the rhythm is very appropriate, giving a gentle but not sluggish pace to the book. Izzy, who is one, loves the fly and sky fish, which in our family, requires a great flinging of arms, swiftly followed by some squeals of delight, but all have had their own, different, favourite fish. Like I said, definitely requires actions. This is just a list of books that I have loved. If I don’t love it, it won’t be on here! Right, I have to confess that my reasons for reading this book in the first place were commercial. Penny is a client of mine on the web design side of things and she gave me her book to read to help me understand her style and the tone of her writing. Having read the book though (in 3 days, which is very quick for a woman with NO spare time) I can honestly say it’s the best read I’ve had for quite a while. It’s the sort of book that when you’ve finished reading it, leaves you feeling as though something’s missing, as though you’re in mourning for the elation that comes from reading a really good story. If you’re a reader, then you know what I’m talking about. If you enjoy a good British thriller but are a bit fed up of reading about scruffy (yet maverick) detectives then Tideline may be just what you’re looking for. The story’s set in a house on the River Thames and is about a middle aged woman who decides to keep a young man who comes to her house to borrow some music. It’s an uncomfortable read at times because you can strongly feel the panic and confusion and claustrophobia of the boy and just want to know it’s all going to be alright. As the story progresses, we learn the woman’s story and the context of her decision, but even at the end when the twist is revealed, the reader is not entirely sure whether or not the hoped for Hollywood ending has actually happened. Tideline, is different and original and disturbing and I would definitely recommend it. Tideline is available from Amazon.